Unashamedly, for me Karachi has attachments which only happen, when you have spent your early life, memories and emotions in a place. 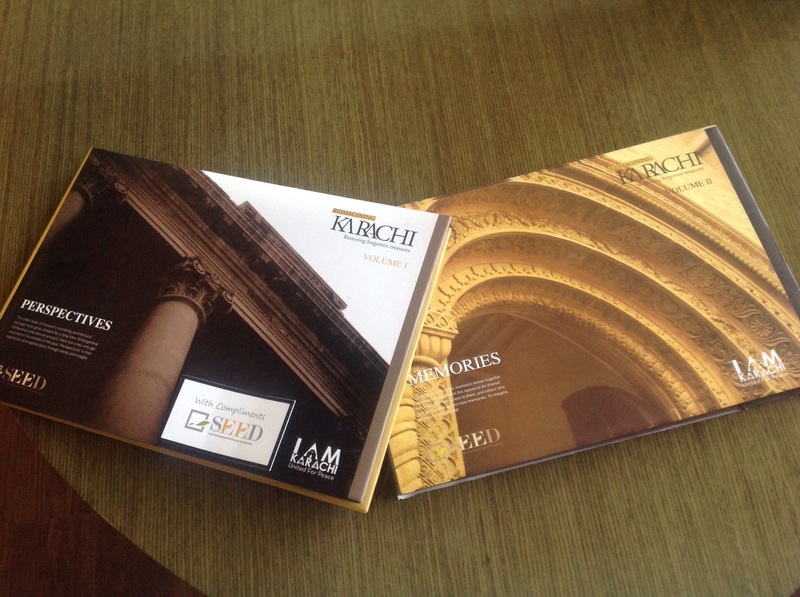 I have written about this before, about how one would go through the art of living daily (https://sarfarazar.wordpress.com/2012/04/05/old-karachi-a-string-of-memories-from-days-gone-by/). But living is not just about eating, playing and being entertained. The soul needs nurturing also. It is this nourishment that I will try and remember here. My nourishment and the grounding of my insides in the streets of Karachi, has so much to do with the culture and image of the place. Its got into my head and even today, when I look at my hometown, I look at it with a rose tinted glasses. Biased and unreal, but nevertheless, my perception. Part of that imagery recalls the old, old Karachi. From pre-partition days. Archaic, but the landscape so enticing. The architecture of Elphinstone St and Victoria Rd. Those old style stone buildings. Most are gone now, but they left an impression! One building which survives today is the Karachi Grammar School building in Saddar. Huge thick stone walls, cold as hell in the winter, but the warmth of years and the embrace of history grips one. There was Mereweather Tower. I identified it with the bus conductors call of “Tower!Tower!”. But it was so much grander than a mere tower in reality, and when you saw it, the centuries smiled down from it. There was Wazir Mansion, Katrak Mansion and a few more. Old, walls of stone, Gothic art mixed with God knows what. To me they smelled of age and richness. The ceilings high, the walls plain white and the ‘roshandaan’ such a characteristic of old days. There were those old houses in Bath Island. Thick Walls made of stuff (sand and straw), which fascinated one and told such a story of life within. Termites had to be regularly battled on these walls, but they have survived a hundred and fifty years nevertheless. The lawns had these pepal trees. Massive ones, maybe a couple of hundred years old, having dropped their roots all over the place and grown and grown. They reminded me of Buddha and one envisions a holyman sitting under these trees thousands of years ago. Then there were those lovely old style houses, which don’t exist anymore. Why? Because we dont need the evening breeze anymore, nor do security concerns allow it. They would have a courtyard in the middle, and around it a square structure, with a patio all around and rooms behind the patio. The breeze would waft through, but then so could an intruder from outside. So such a structure is gone in today’s world. A necessary part of those memories are old markets. Empress Market takes precedence. It was truly fit for a queen and inside I remember fondly the parchun walas shop. There were others; fish, vegetables, fruit, meat and chaai. Then there was Bohri Bazaar with its fascinating merchants, pots and pans, shoes and clothes outlets and in the middle of those winding lanes, Capital cinema. Bolton Market, burned down today, but what a place to recall. An old style market structure, with its old building and its old shops, selling many wholesale items. Old Kharadar with its small markets and apartments. Same as Burns Road (Bunz). Those balconies, from which day long women conversed with each other and with the people in the streets and hung baskets on ropes to purchase daily sustenance. Lastly are the parks. Polo ground, Frere Hall, Jahangir Park, Hill Park, Jheel Park. No walls and children all over the place. Before and after Maghrib. Plenty of cricket and hockey taking place there. Also people having a picnic well into the evening, when it was very dark. No security concerns. But even more fascinating, there was greenery, including grass and trees. Some shrubbery too. Tell you what, I don’t remember seeing a water tanker in my childhood. But the greenery thrived. It means that water pipelines did exactly what they were supposed to do; they delivered water to everyone. Alas, it all seems like a dream now. My old Karachi.